Blockchain has been worldwide considered one of the best cryptocurrencies at present. It has introduced a number of opportunities for the entrepreneurs that will certainly boost your business at present. South East Asia is an enormous and most popular hub of digital marketing events at present. Keeping in mind regarding future opportunities, Wire Summit is being organised in Delhi. WIRE Summit 2018: Why Should You Attend It? Blockchain Startups are an integral part of the digital age. With the increasing trend in Blockchain, there are a number of opportunities for the investment in blockchain startups. 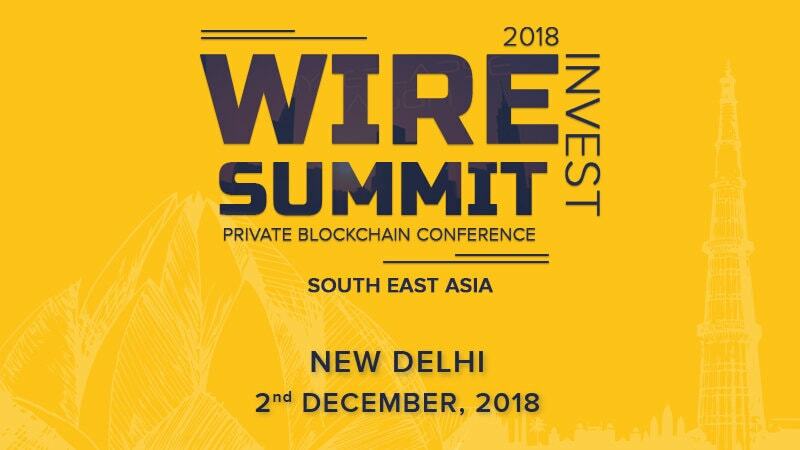 WIRE Summit is one of the best events to promote investments in Blockchain startups. The Summit will take place at Hotel Aloft (JW Marriott), Aerocity, New Delhi, India. Wire Summit is committed to becoming the largest and the most extensive Blockchain-oriented event at the end of 2018 in the industry. The event will be organised by the most reputed news chain in the Blockchain industry- BTCWIRES. This new platform has previously covered various news about the Blockchain news. The event will be attended by the most reputed companies such as R3, dLab, Nair Ventures, Swiss Investment Group and Indian partners from Angelist, IAN, and other top investment firms in the country with a host of Experienced Traditional and Prominent Angel Investors attending the event. Besides this, the event will also be attended by the of the most influential people in the business world- from founders of pioneering blockchain startups, MDs, CxOs of the biggest tech firms, Vice Presidents, MDs, including professionals from Bluechip companies. Startups and DAPP Projects. The event will be one of its kind in India, largest in terms of Investor Relations in Blockchain Sector, as said by Vinay Nair, Managing Partner of Nair Ventures. Abhishek Kishore Gupta (KPMG) and many others. The selected startups will get the chance to display their products and ideas to the massive global audience as the event will be covered by the international as well as the national agencies around the world and also locally in Japanese, Chinese, French, Vietnamese, and Russian news platforms. In India, the event will be covered by the most popular news platforms such as ANI, PTI with NEWSPAPER Dailies like Economic Times and NDTV will cover the event. The Summit gives entry to only the chosen startups and the investors. BTC Wires has confirmed that only the investors with a reputed portfolio have been invited to the summit. If you are willing to attend the event, you can send a request to the Organizing committee regarding the invite.